Can Mommy, Daddy, four children, and the family dog fit into a toy hauler fifth-wheel pulled by a Ford Dually? Can they live full-time and travel the United States? 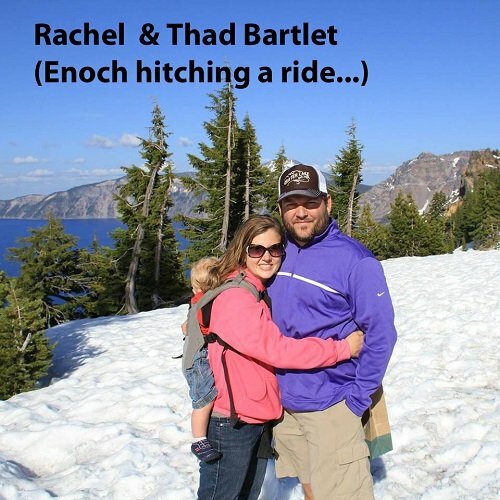 Yes—if they are Thad and Rachel Bartlett and their kids, ranging from a teenager down to a baby. 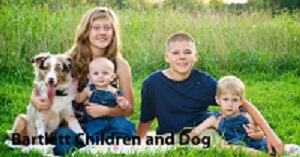 The Bartletts are one of many families that live on the road nowadays. Yet, it takes some organization. 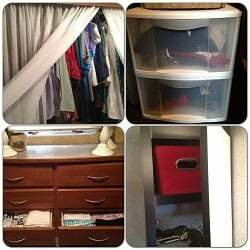 Thad, Rachel, and their oldest, Mary Kyle, shared the closet. 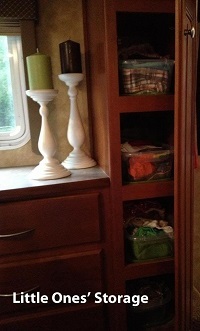 Their second child, John Mark, stored a few clothes in the closet, but by choice, he kept his play clothes, socks, and underwear in two plastic drawers and a red bin in his cabinet in the boys’ room—or what would be called the “garage” in RV conversation. Mary Kyle had a matching red bin in her loft area over one of the fifth-wheel’s two bathrooms. Thad and Rachel shared the six-drawer dresser in their bedroom. The little boys also shared one more shoebox that contained pajamas and socks, and was stored in a smaller cabinet. Rachel says she could have fit two boxes on each shelf, but she realized the children had plenty of clothes—and with less, it all stayed organized with little moving and shuffling. “Just a wee bit of difference from the days in our sticks and bricks house when they had so many baby clothes that they outgrew them before they could wear all we had of a certain size,” she adds. After a calendar year on the road as a family, the Bartletts are back in a rented house in their home state of Georgia, preparing to build a new home. 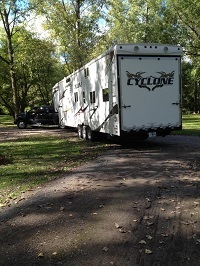 Their fifth-wheel has no “for sale” sign—yet. RVing is in their blood. Some day, they plan to repeat their cross-country adventure—maybe traveling longer than a year.